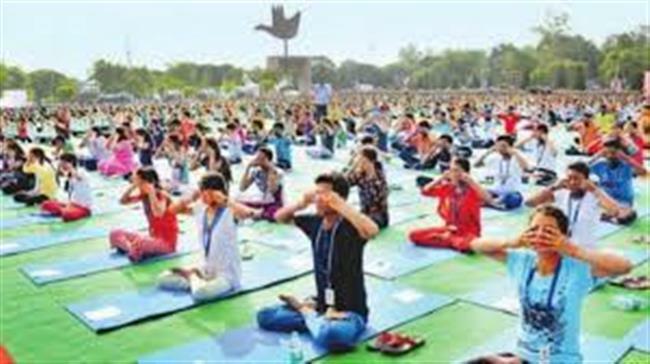 Chandigarh, June 21, 2018: The 4th International Day of Yoga was celebrated today in Chandigarh, Sector 17 Plaza with great zeal and enthusiasm. The grand event was graced by Sh. V.P Singh Badnore, Governor of Punjab and Administrator, U.T., Chandigarh as the Chief Guest and Smt. Smriti Zubin Irani, Union Minister of Textiles, as the Guest of Honour. The event saw massive participation of 4000 plus participants including 25 Divyang Jan from the City who performed Yoga demonstration of Common Yoga Protocol.